I don’t watch K-dramas but there are a few Korean celebrities I love. Song Hye Kyo is one of them. 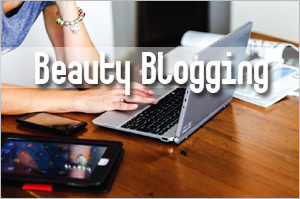 That’s why you find me using a lot of her pictures on this blog. Anyway, today, I’m sharing more than just her picture. 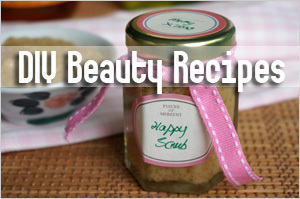 I’m going to share with you one of her beauty secrets and it’s a homemade DIY beauty tip I read from Soompi! It’s really easy to rehash and the ingredients are probably right there in your kitchen now. Ready? Let’s get on! 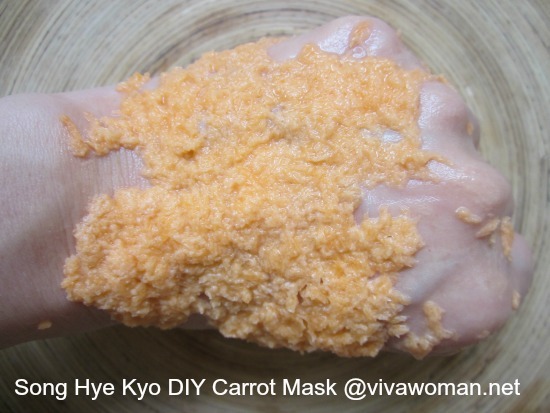 This DIY carrot flour mask really only requires three ingredients: carrot, flour and filtered water. 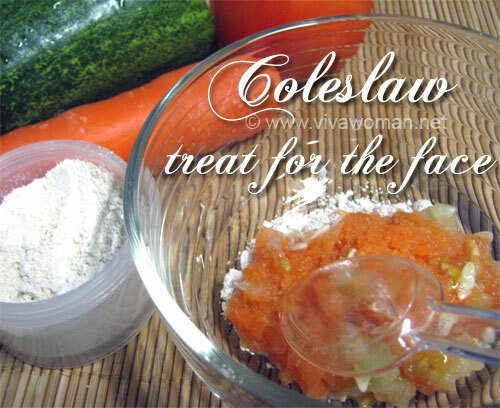 The proportions of ingredients are 3 parts carrot, 2 parts flour and 1 part filtered water. Just grate the carrot finely, mixed it up with the flour and water. 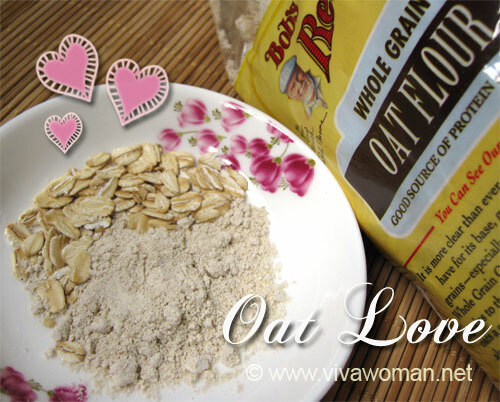 You can use oat flour or rice powder to replace the flour if you like. 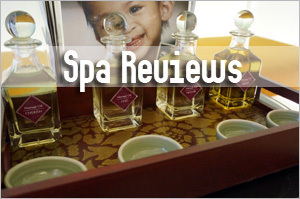 In fact, I prefer rice powder because of its skin brightening benefits. Carrot contains vitamin A and beta carotene. 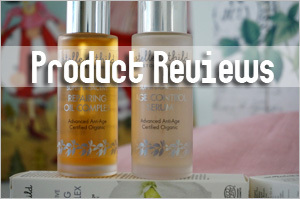 When used topically on the skin, it helps with hydration and can even out skin tone and give tired-looking skin some glow. When mixed with the flour, it can also work as a natural exfoliator. Actually, I used to like using carrots quite a bit in my DIY recipes until I got tired of grating. When I first tried this recipe, I thought the carrot wouldn’t stick well to my skin since there is no binder. But I think the flour does a good job of holding the grated carrot together like a paste. So don’t be too generous with the water especially because the grated carrot already contain quite a bit of juice. Well, if you prefer, you can add yogurt instead of water. This is not the first time I’ve featured Song Hye Kyo’s beauty secrets but this is the first time I’ve come across this recipe. 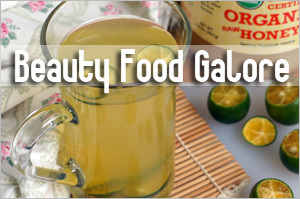 However, don’t think for a moment that her flawless porcelain clear complexion is due to using these DIY recipes. I’m very sure she has more gems in her skincare routine than these. Plus, she probably already has good skin to begin with. But if you’re into DIY homemade recipe, no harm giving this a go. 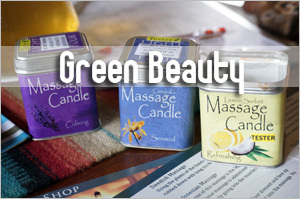 The ingredients are mild and should work quite well for most people. However, do exercise caution if you have sensitive skin because from what I’ve read in the forums, some ladies did experience allergic reaction after using this mask. 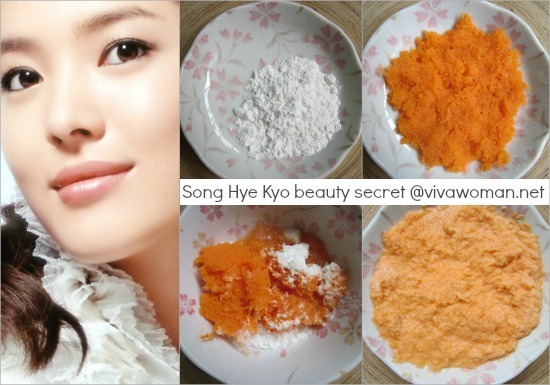 Have fun and hope you’ll enjoy the carrot flour mask as much as Song Hye Kyo does! Oooh…chickpea flour! I have been looking for it. Now THIS is right along my alley! I love natural things, and masks etc. I am def gonna try! 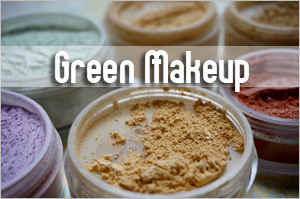 I usually go for natural makeup brands such as Glam Girl Naturals Cosmetics(they’re pretty new and I love love love them!) 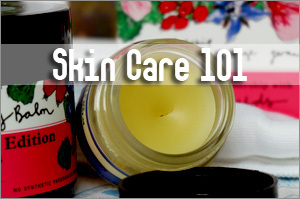 and so I think its great to overall do natural skin care etc as well. 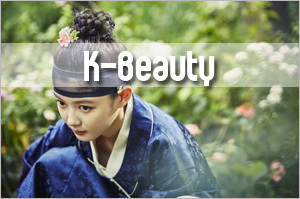 This mask seems really nice, and I hope to have Song Hye Ko’s gorg skin! It’s an easy recipe so give it a go! I must try it but then I am kinda of lazy to grind the carrot. wonder is there an easier alternative. Grater is the easiest. I cannot think of another easier way. That’s indeed an effective way to use carrots. Oh okay. I can locate chickpea but can’t find the flour too. Hmmm…don’t think I want to blend though. But thumbs up to your effort! I saw this on soompi a couple years ago as well and tried it. I only came out with a stained orange face though 🙁 but then again was only 13 and was not suffering from acne. 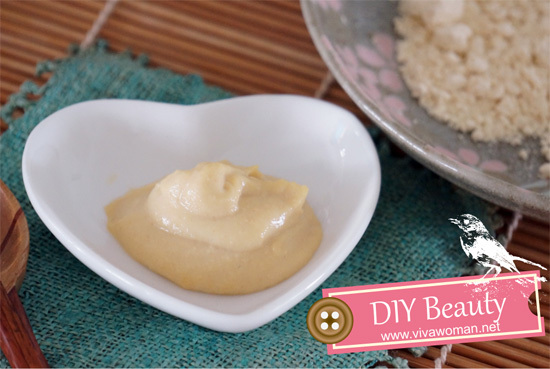 I agreed that it probably take a lot more than these diy for her complexion. How did this recipe work for u though sesame? I used to use carrots on my face without any problems. Usually use it with yogurt. But I did read about people with similar experience like yours. Song Hye Gyo is as luminous as she was 10 years ago. Such a classic beauty. I always like her. Such a pretty gal. I just loved your carrot flour mask! 🙂 I make my own masks at home and i believe no cosmetic masks can make you more beautiful than your own home made masks. I like you carrot flour mask and for sure I am going to try it, but my skin has dry pimples in forehead, so do you think will work? 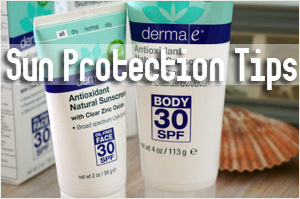 and also if you have something for those dry acne… its so weird..